RCI has welcomed six new resorts in Vietnam to its vacation exchange network through an affiliation agreement with leading real estate brand FLC Group. These six properties are located in popular tourist destinations across Vietnam including four new cities for RCI Members – Vinh Phuc, Samson, Quy Nhon and Ha Long. With these additions, RCI’s portfolio in Vietnam now boasts more than 23 properties across 10 cities, adding new holiday options for its 3.9 million global exchange members. According to statistics provided by Vietnam National Administration of Tourism, Vietnam welcomed a record of 12.9 million tourist arrivals in 2017, surpassing the total number of visitors in 2016 by 29 per cent and keeping the Vietnamese government on track to develop tourism in the country to be a key economic sector by 2020. Trinh Van Quyet, chairman of the board of directors of FLC Group, said: “An affiliation with RCI adds value to ownership at FLC’s resorts and offers our owners access to a world of endless vacation opportunities. 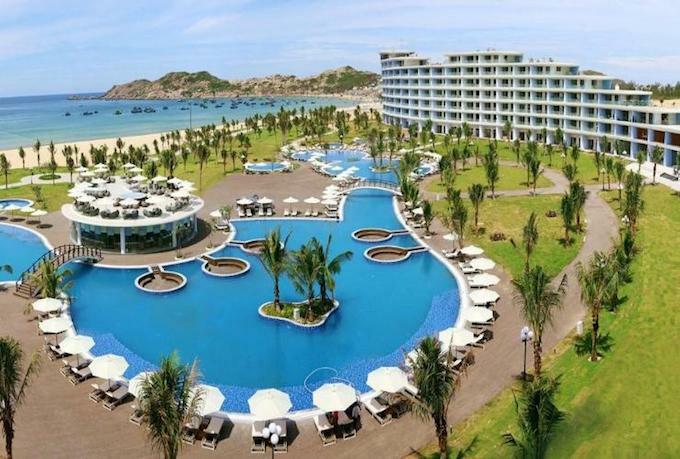 FLC Sam Son Beach & Golf Resort and FLC Grand Hotel Sam Son are situated on the Sam Son beachfront in Thanh Hoa offering unrivalled ocean views. Featuring elegantly-appointed studio, one-, two- and three-bedroom suites, FLC Sam Son Beach & Golf Resort offers luxury accommodations that harmonise with nature. FLC Grand Hotel Sam Son features well-appointed one- and two-bedroom suites with modern architecture and state-of-the-art amenities. 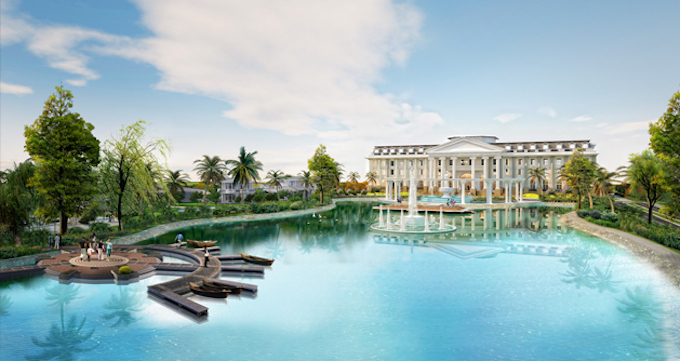 The resorts both share state-of-the art facilities, including the largest saltwater pool in Vietnam featuring heated hydrotherapy whirlpool spas, an on-site 18-hole golf course at FLC Samson Golf Links, an all-season indoor pool, tennis courts, a kids’ club, karaoke and a casino. FLC Quy Nhon Beach & Golf Resort and FLC Grand Hotel Quy Nhon are located in the coastal city of Quy Nhon in Binh Dinh. Boasting studio, two- and three-bedroom suites all enhanced by modern conveniences, each unit in FLC Quy Nhon Beach & Golf Resort offers panoramic views of the Nhon Ly – Cat Tien beach. Guests can enjoy a variety of restaurants and bars within the resort complex, or relax at a locally-inspired natural spa. The resort also features a 36-hole golf course that includes 18 mountain-view holes and 18 ocean-view holes. Guests can also enjoy a day at the FLC Zoo Safari Park, a wildlife sanctuary that’s home to nearly 900 animals. FLC Grand Hotel Quy Nhon is scheduled to open in September 2019. FLC Grand Hotel Ha Long is situated on top of Van Nghe hill, offering spectacular views of Ha Long Bay, one of the Seven Wonders of Nature and a UNESCO World Heritage Site for its scenic limestone karst formations towering over the emerald-blue waters of the bay. 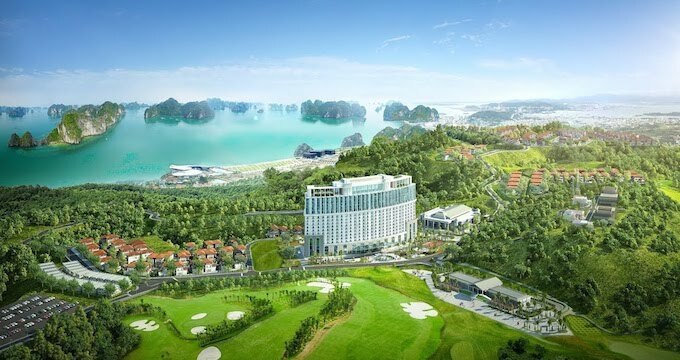 Scheduled to open toward the end of 2018, FLC Ha Long boasts modern and luxurious design accompanied by world-class amenities, including a hilltop 18-hole golf course and an infinity pool to meet the demands of the recreational traveller.